In the fall of 2009, I had the opportunity to attend Mass at a cloistered monastery, the Dominican Monastery of the Perpetual Rosary in Buffalo, NY. As I entered the dimly lit monastery chapel, the sacredness of the atmosphere was tangible. As the liturgy began, the sense of reverence and awe that had arisen in my heart from the moment I entered the chapel only grew. From behind the massive grill on the right side of the sanctuary, a chorus of voices floated into the sanctuary. Though deeply impressed by my experience at the Dominican Monastery, it didn’t take long for it to all but vanish from my mind, along with any serious considerations of a religious vocation. I was thirteen years old at the time, and aside from fanciful dreams of adventures such as hiking the Appalachian trail, rafting in the Grand Canyon, and circumnavigating the world on foot, I didn’t give the future of my life too much thought. I had just begun my freshman year of highschool-homeschooled, as I had been since kindergarten. I lived with my parents and five brothers in Olean, New York. Thanks to the deep faith and dedication of my parents, our home and family life was centered on our Catholic Faith. Although I do not remember my parents explicitly encouraging me or any of my brothers to consider a religious vocation, from my earliest years I heard their daily prayer-that each of us, their children, be given the grace and strength to do God’s will and to “fulfill all God’s missions” for us. Seeing this desire of my parents for the will of God in my life nurtured a desire in my own heart to seek and to do God’s will. Over the next several months “the call” would quietly re-surface now and again. Little experiences-such as an encounter with a religious sister, a vocation “altar call” at a youth retreat, a teasing comment by one of my little brothers (who would infuriate me by telling people that I was going to be a nun, even when I truthfully insisted that I had no such intention), would cause me to think that perhaps the Lord could be calling me. Over time, the lingering idea in the back of my mind that maybe I should consider a vocation to religious life gradually became persistent enough to actually bother me. Could Our Lord really be calling me to be His bride…to live my life only and all for Him as a religious sister? I did not find the idea of being a nun very attractive; I was sure there were many more interesting and exciting things to do with my life. My biggest reservation, however, was a sense of unworthiness. I did not really understand what a nun even was, but there was something profoundly mysterious and beautiful about the vocation. Why would He call me? I’m just a regular person…Why not someone else? Somebody holy or something? While these doubts and reservations lingered in my heart, the Lord continually drew me closer to Himself. I began to experience His call to spend time with Him daily in prayer; also, a tremendous grace for me at the time was the ability to go Eucharistic Adoration frequently as well as to daily Mass. Through this close daily contact with Him, our Lord consistently made it clear to me that even if I thought religious life could not be for me, He thought otherwise. If at no other time, whenever I encountered His Eucharistic presence, whether at Holy Communion or Adoration, whatever doubts and fears I had would simply melt away, leaving nothing but a profound peace and a burning desire to give myself totally to the One Who gives Himself totally to me. Over a year after I had heard ‘the call’ for the first time, I took my first concrete step toward discerning the Lord’s call in my life and attended a discernment retreat at the Dominican Sisters of Mary, Mother of the Eucharist in Ann Arbor Michigan. The retreat marks a definite turning point in my discernment. I enjoyed spending time with the sisters, and was encouraged and amazed to discover that other “regular” girls thought about religious life too-over 200 young women attended the weekend retreat! More importantly, however, over that weekend Our Lord opened my heart to realize that this mysterious call really had little to do with me, and everything to do with Him. Nothing I had done or could do could earn or merit such a grace; it was purely a gift of His Mercy, a gentle invitation to respond in love to His unfathomable, unconditional love. My final two years of high school would find me actively pursuing a religious vocation; looking at websites, getting to know nuns, and even visiting a couple communities. Three basic characteristics which I looked for in any community I considered were first, fidelity to the Holy Father and the teachings of the Church, second, a strong devotion to the Holy Eucharist, and finally, a prominent role of Our Lady. In addition, at that time a love for Our Lady of Sorrows and a practice of taking time daily, particularly during the mercy hour, to remember the Passion of Our Lord had begun to emerge as a significant part of my personal spiritual life. These characteristics and devotions became guidelines for me as I continued my discernment. As I searched, whatever good and holy communities, whatever beautiful apostolates I encountered, I always had a sense of something missing; I saw such beauty and such holiness, but I thirsted for something more. I was graced at this time to encounter St. Therese, who became a good friend of mine in my discernment. I read her autobiography, The Story of a Soul, as well as various other books and articles about her life and spirituality. It was through getting to know the Little Flower that I first became open to the idea of contemplative life. In 2012, I visited the Dominican Monastery that had made such an impression on me three years earlier; speaking with their vocation directress and once more taking part in the Liturgy in their chapel re-enforced my growing suspicion that the ‘more’ I was seeking was contemplative life. On the feast of the Annunciation in 2013, shortly before my high school graduation, Our Lady gave me a special gift. On the morning of that feast, my Mom approached me with a strange story - she had had a dream the preceding night, in which two people told her that I should look into the Passionist Nuns, an order which she had never heard of. The name was vaguely familiar to me, but I knew nothing about the congregation. A google search led me to the state-of-the-art website of a vibrant Passionist Community in Whitesville, KY. As I read over the material on the Nun’s website, I experienced tremendous excitement, joy, and peace. It was immediately apparent the congregation was solidly rooted in fidelity to Holy Mother Church, and the sisters were proud to be her faithful daughters. 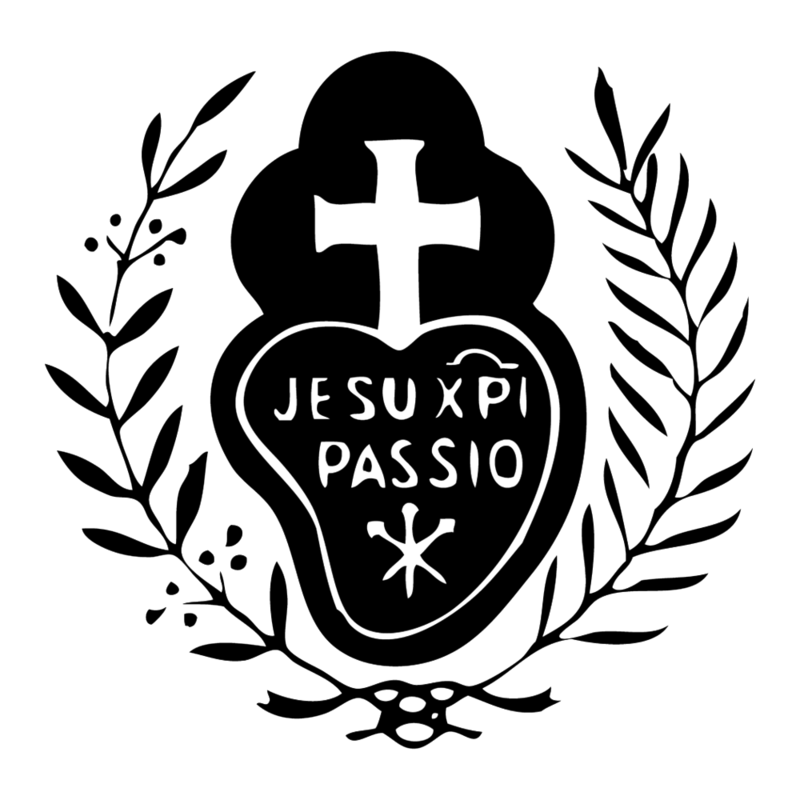 Furthermore, the Passion of Our Lord, Our Sorrowful Mother, the Most Holy Eucharist were all clearly presented as fundamental aspects of Passionist life! The same devotions which had become dear to me were there, but with a wealth and depth which was both far beyond me and irresistibly attractive. The more I read, the more I fell in love with this congregation, and the more eager I became to contact them and arrange for a visit. This I did, and November 2013 found me flying to Kentucky to St. Joseph’s Monastery for a week-long live-in with the Passionist Nuns. During this first visit, the Lord gave me such tremendous peace and assurance that this was where He wanted me to be. I loved the Monastery, the sisters, the daily rhythm of prayer, work, recreation, and although all were new to me, I simply felt ‘at home’. After completing a three-month aspirancy, I entered the monastery and began postulancy in July of 2014. I feel so incredibly blessed to be here at St. Joseph’s Monastery, and I am so grateful to God for each new day He gives me to love Him and to praise Him, striving to give my life totally to Him, Who gives Himself totally to me. A Woefully Late Post About the 4th of July!